Sure, you’ve probably seen a message in a bottle in a movie or read about them in a book, but have you ever seen one wash up in real life? Well, one woman recently found what is believed to be the world’s oldest message in a bottle. The bottle was discovered by a woman named Tonya Illman while she and her family were taking a walk along the beach in West Australia. She found the bottle bogged in the soft sand near her son’s car. The message within was dated June 12th, 1889 making it the world’s oldest known message in a bottle. 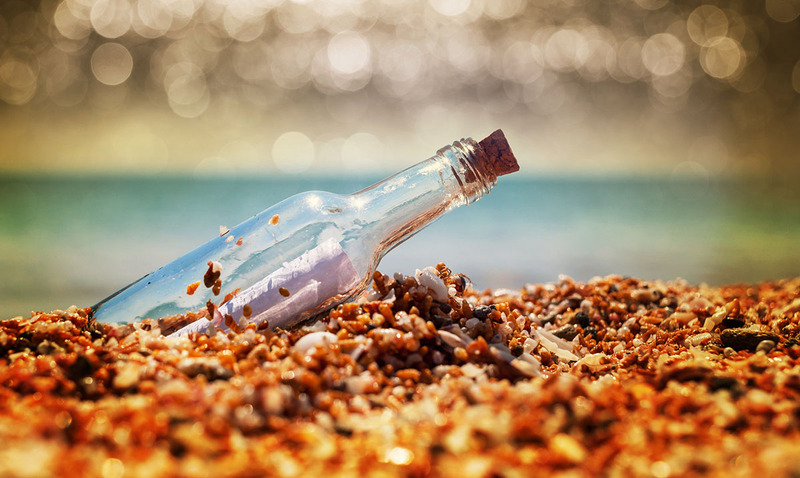 Before now the oldest known message in a bottle was 108 years old, this one is 132. It seems this message was written and tossed off by a German sailor only to be wandering until now. It is quite amazing when you think about it. After realizing how interesting this find was Illman’s husband did some research online and discovered that it seemed to be part of a drift bottle experiment conducted by what was previously known as the Deutsche Seewarte (German Naval Observatory). You see, from 1864 to 1933 they dumped thousands of bottles into the oceans to basically study currents in a sense. The form was so that it could be filled out and returned when found. Out of the thousands of bottles that were placed in the ocean only 662 forms have made their way home so there could be older bottled messages still out there even now. Illman has loaned her find to the Western Australian Museum to be on display for the next two years, so if you want to go see it, you know where to find it. This is not something that happens every day and many are glad the family chose to share it with the world. This bottle appears to be a late 19th-century authentic Dutch gin bottle and has been proven as ‘legitimate.’ I for one am quite excited about this and cannot wait to see if another turns up in the future. What do you think about this?